Several methods are available today for assessing the sense of smell in adult people, but no reliable method has yet been discovered for such assessment in children. Preparations are currently under way in Department of Ear, Nose and Throat at the Wolfson Medical Center for a new project: a research that would allow scientific assessment of the sense of smell in children. The sense of smell is significant not only for the sake of survival in order to detect a near danger, but it also contributes to the general sensory experience which is an important part of quality of life. For instance, the sense of smell is a main factor in the pleasure produced by the food we eat. Accordingly, patients suffering from decreased sense of smell are often complaining about taste of food becoming dull in their perception. Moreover, several researches point at a connection between the declined sense of smell and various diseases. 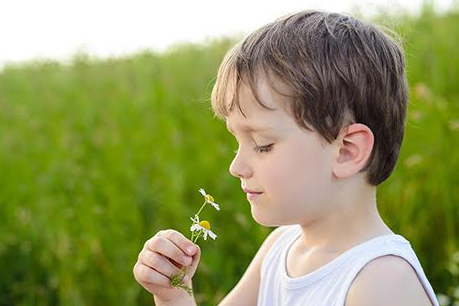 Prof. Yehuda Roth, head of Department of Ear, Nose and Throat at the Wolfson Medical Center, reveals that his hospital, in collaboration with the Weizmann Institute of Science, has developed an examination for assessing the sense of smell in children. In such examination that lasts for approximately ten minutes, children are playing a game, in the course of which they smell some odor that they have to identify. All odors used in the experiment are safe to use and produce no side effects. During the examination carried out in the presence of children aged 4 to 10, the subjects wear oxygen goggles that measure their olfactory performance. The children participate in an attractive and challenging game, and simultaneously they are undergoing a scientific assessment of their sense of smell. The examination is short and lasts about quarter an hour. It has been reported from the Wolfson Medical Center that the research team of their Ear, Nose and Throat department is highly flexible with respect to the examination’s place and time and are even prepared to come to the child’s home.